William Christenberry (1936 – 2016) was born in Tuscaloosa, Alabama. Maintaining his family’s rural roots, Christenberry frequently visited his grandparents on their farms during the summers. His love for the countryside has been a constant force, expressed throughout all phases of his work. 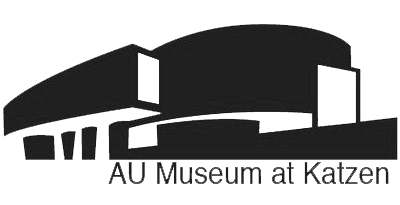 Christenberry received his Bachelor of Fine Arts in 1958 and his Master of Arts in painting in 1959, both from the University of Alabama. It was during this period that he began using a Brownie camera to make photographs of graves and tenant houses as references for paintings. Christenberry was an instructor at the University of Alabama for several years before, at the instigation of his teacher and close friend, Melville Price, he moved to New York where he lived for fourteen months. Although he did not make any art during this period, it proved to be a very fruitful time. He met and became friends with Walker Evans, whose Alabama images for the seminal Let Us Now Praise Famous Men led Christenberry to a deeper relationship with his home state. In 1962, Christenberry received a teaching position at Memphis State University. It was in Memphis where Christenberry met and married his wife, Sandra Deane. During this time, his paintings began to take on a more sculptural quality, and he began to express his abhorrence of the Ku Klux Klan through paintings, drawings and tableaux. 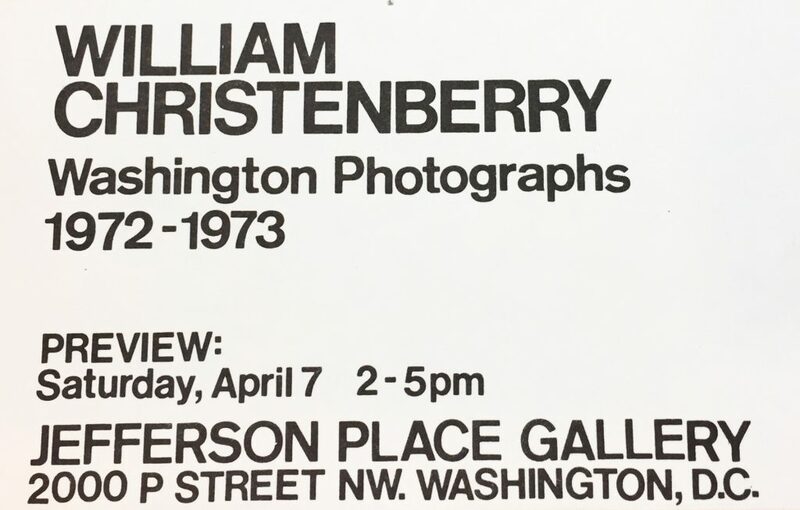 After eventually settling in Washington, DC in 1968, Christenberry commenced what would be a longstanding and close relationship with the Washington art community. 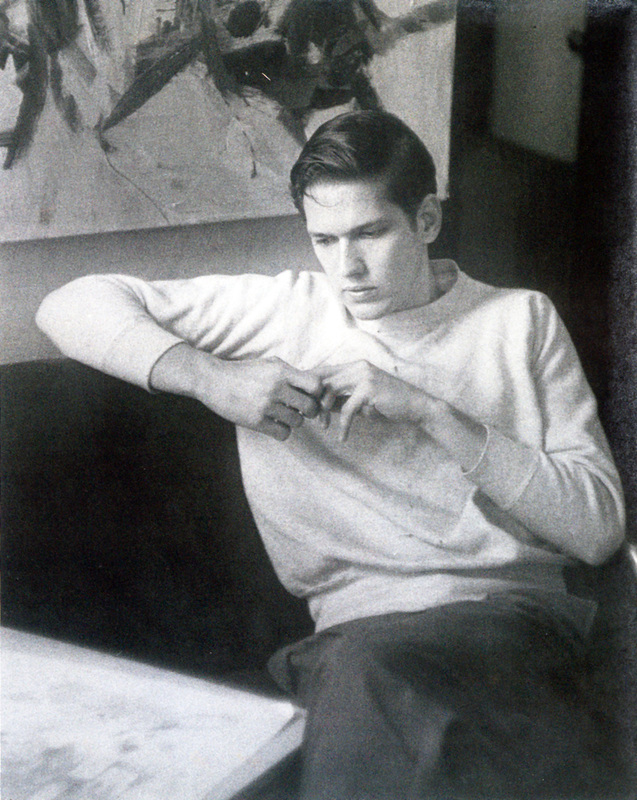 He began teaching at the Corcoran College of Art + Design, where he remained until May 2008. He brought an artist’s perspective to the Board of Trustees at The Phillips Collection as a member of the board from 2000 to 2010. Christenberry was involved early on with the Washington Project for the Arts both through his donations of artwork for their annual art auction fundraisers, and by serving on the board for 1981 to 1986. Christenberry’s oeuvre consists of drawings, paintings, sculpture, photographs and tableaux. His work has been the subject of dozens of national and international exhibitions and can be found in such permanent collections as the Smithsonian American Art Museum, Washington DC; Museum of Modern Art, New York; Whitney Museum of American Art, New York; Stedelijk Museum, Amsterdam; San Francisco Museum of Modern Art. Several books have been published on Christenberry’s work, the latest of which, Kodachromes, published by the Aperture Foundation, focuses on a relatively unknown, yet stunning, body of work spanning from 1964 to 2007. 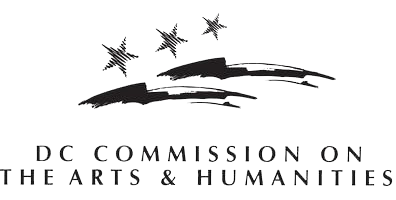 Biography of William Christenberry provided by Hemphill Fine Arts, Washington, D.C.